RDF has become recently a very popular data model used in a variety of applications and use cases in both academia and industry. Query processing and evaluation is a central component in data management in general and is, thus, unsurprisingly one of the most active areas of research in the field of RDF data management. 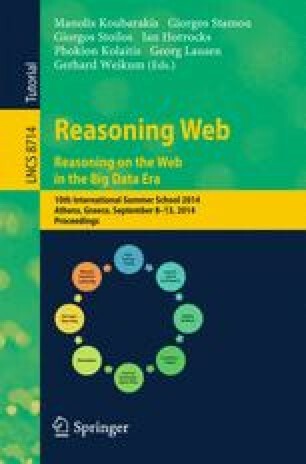 In this chapter we provide an overview of query processing techniques for the RDF data model using different system architectures. We survey techniques for both centralized and distributed RDF stores, including peer-to-peer, federated and cloud-based systems.